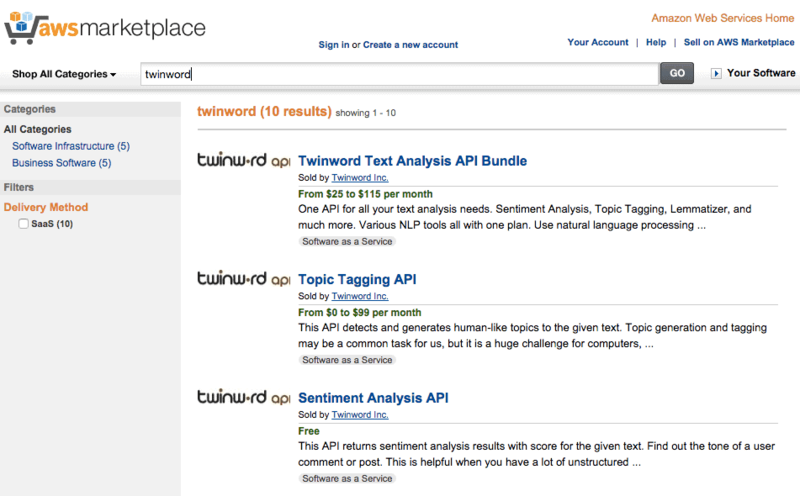 Twinword APIs Now On Amazon Web Service Marketplace - Twinword, Inc.
Our Human Text Understanding APIs are now on Amazon Web Service Marketplace! You can now utilize them to build your applications, with no setup or training data required, and a simple documentation! 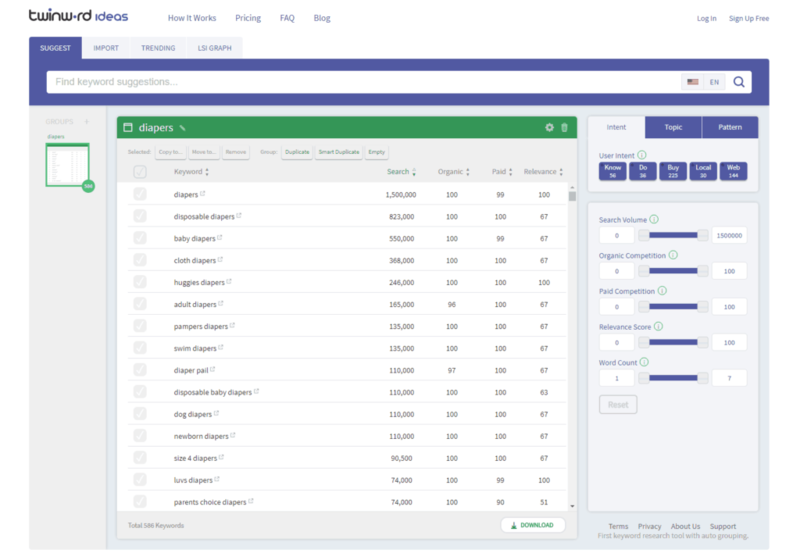 While the Sentiment Analysis and Lemmatizer APIs are Free and Unlimited, the rest are on the simple pricing policy of Pay As You Go (with Free Tier)! 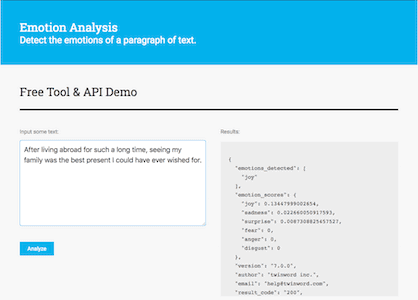 For extensive usage, we have the Text Analysis API Bundle, which provides one API for all your text analysis needs. In addition, we are also able to customise our APIs to tailor to your specific business needs. Check us now on AWS !